Thirteen years ago when My Farmer first brought me home to meet his family I got meet his Dad, his Mom, his sister and Merlin. While Merlin might not be family by blood, he is definitely a huge part of our family. He is a close family friend, neighbor, honorary grandpa to our children, one of our landlords, and is one of our seasonal farm hands. This week Merlin turned 80 years old and we are celebrating his milestone this afternoon. In honor of his 80th birthday, I sat down with him at his kitchen table, in the same house he grew up in, to reminisce about the last 80 years. 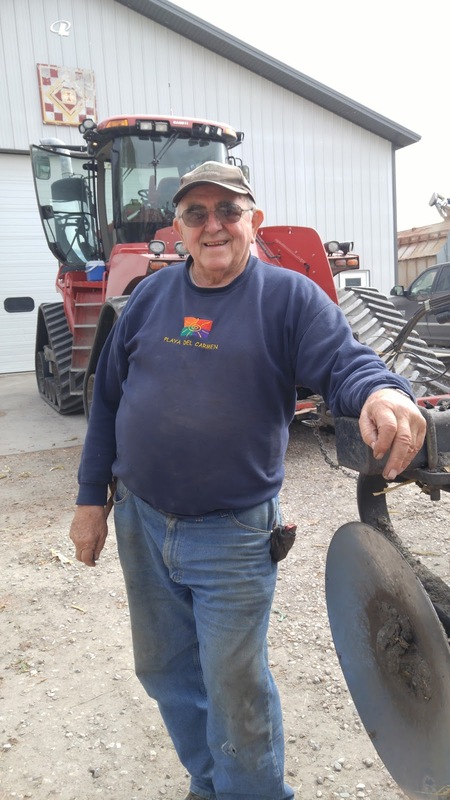 Born in 1937, Merlin was the third generation of his family to farm the ground that he still lives on today. His Grandpa bought the home place in 1899. Growing up in the 1940's, Merlin describes his family's farm to be a typical farm of that era. They raised a little bit of everything: cattle, pigs, chickens, milked some cows by hand, and they had some sheep while he was in 4-H as a feeder lamb project. They also raised corn, oats, hay, had some pasture ground, and they even raised hemp during World War II that was used for the fiber to make rope. His Mom also kept a large garden and the family had a personal orchard with apples and grapes. The entire family, his Dad, Mom and himself, were involved with daily tasks of the farm. He especially remembers helping with feeding the cattle and helping with field work during his youth. One thing that I have always been impressed with about Merlin is that he went back to finish his Bachelor of Science degree at Iowa State in 1986. He graduated in 1991 with a double major in Agronomy and Horticulture. I asked him why he went back to finish his degree and he said he always felt like it was something he should do and finish. There has been a lot that has happened and changed during the last 80 years. One thing that Merlin kept on coming back to when reminiscing with me was how much the speed of communication and information has increased over time. He grew up with a rotary dial phone on a party line and remembers when they got their first black and white TV. He now uses a smart phone that he can call and text his children, grandchildren and great grandchild on who live in three different states, can access the internet on it and can even check in on the latest auction that is going live online (remember, I mentioned he was an auctionaholic - his words, not mine 😉). Technology and information has changed on the farm too. Merlin started farming in a cabless M Farmall, and now drives the quad-track tractor (seen in the photo above that he is seen standing in front of) with autosteer, GPS, air conditioning, heated seats, radio, bluetooth and a cab! Merlin said that his friend and fellow auctionaholic, Leon, and him talk about the changes their fathers saw in agriculture, compared to what they have seen. Their fathers began farming through all hand labor, to finishing by using tractors with mechanized equipment. Merlin and Leon have seen the development of tractors and equipment, as well as the progress of crops. He says that he thinks he has seen as much change and progress as his father did. Merlin believes that the progress of corn and the development of hybrid corn was the biggest agricultural advancement during his lifetime. Before hybridization, farmers saved the biggest ears of corn with the biggest kernels to plant the next year. They were searching for the best strains, but in an unscientific way. With the development of hybrid corn, plant breeders were working to crossbreed specific corn plants to create a higher quality plant. Merlin said that open pollinated corn had a poor stand (weak stalk) and had a low yield. But with hybrid corn, farmers immediately saw an increase in yield, as well as the corn plant was stronger, which allowed their mechanical pickers to harvest the corn easier and better. Hybrid corn increased production and decreased labor needs. When Merlin was born, less than one half of one percent of the United States land planted in corn was planted in hybrid seed. By the time he was a teenager, that number had risen to over 50%. Now virtually all corn planted in the United States is hybrid corn. So what advice does Merlin have for My Farmer and I and other farmers? Pay attention to new things coming down the pipeline. There have been a lot of changes in his lifetime, but there are lots of new things coming yet. Time goes faster than you think it does. Get involved in your community. You will get a lot out of doing something beyond yourself and will meet good people no matter where or what your community is. Community is bigger than it used to be due to transportation and communication. So find your community and get involved. Thank you Merlin for letting me sit down and interview you for your 80th birthday. I feel honored to have this opportunity and privileged to have you as a good friend and part of our family. Here's to a great day today celebrating and to many more Cyclone wins, auction finds, and memories made with our family! Be sure to Comment for a Cause and wish Merlin a Happy 80th Birthday! 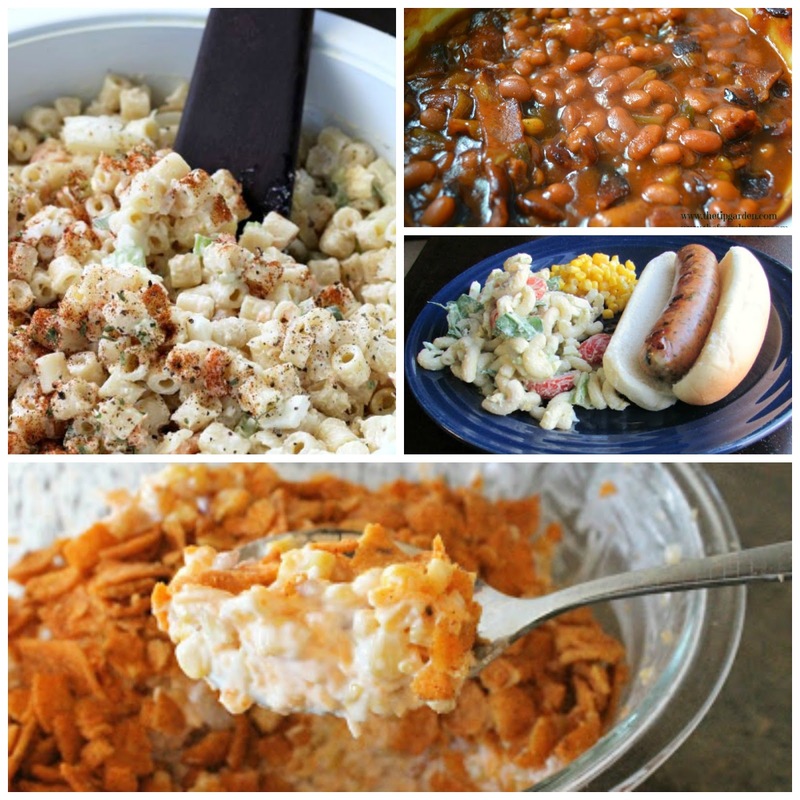 Be sure to check out all of the great Summer Dinner ideas from the latest Celebrate 365 Blog Party here. 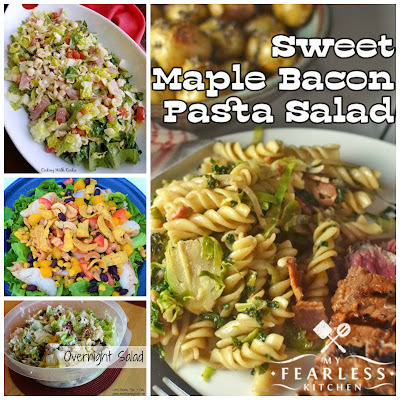 There are tons of great main dishes, salads and desserts linked up! 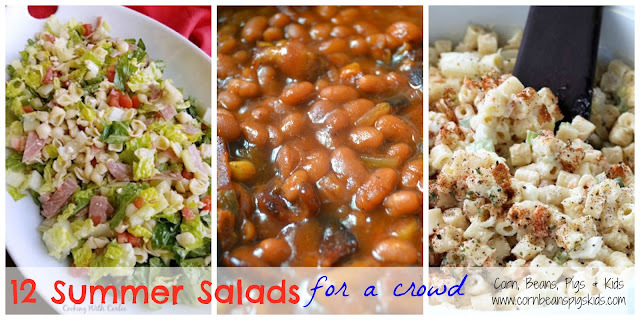 What's your favorite type of summer salad? What do you love to bring to a potluck? Remember to Comment for a Cause! Besides July being National Ice Cream Month, today is National Ice Cream Day! What a better way to celebrate than indulging in some ice cream at one of Iowa's nostalgic ice cream shops. 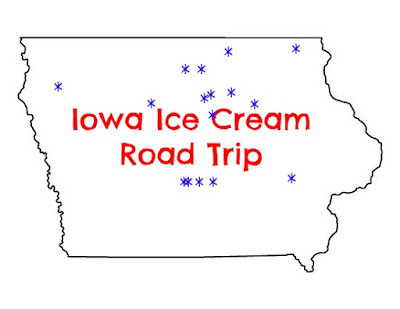 During the month of June the last few years my family has gone on an Iowa Ice Cream Road Trip in honor of National Dairy Month. 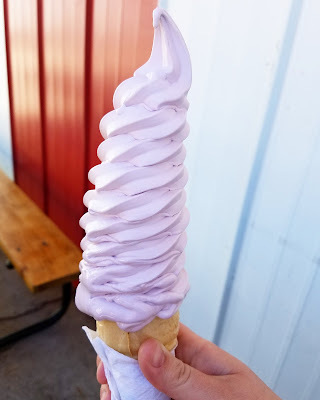 I thought today would be the perfect day to share about all of the ice cream shops we've gone to so far! The Whippy Dip serves up unbelievable soft serve ice cream! Our family recommends getting their cookie dough tornado. This seasonal shop has turned into a family favorite. We make an annual pilgrimage to Decorah every summer just to have a treat from The Whippy Dip - it is that good! You know your ice cream from Hansen's Dairy is fresh - you can literally pick it up on the farm! 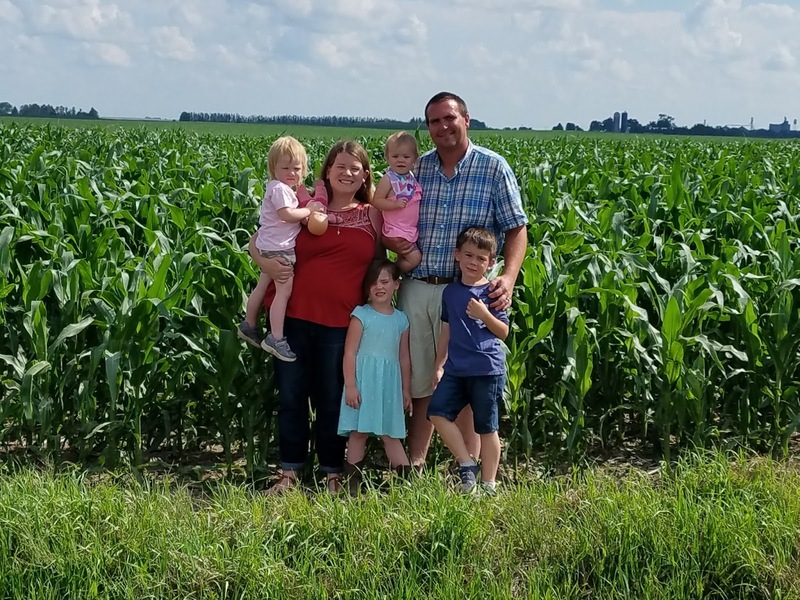 This family dairy farm decided they needed to diversify their farm 15 years ago when all four sons wanted to come home to farm so they added a creamery. Hansen's Dairy hard ice cream is thick and creamy. An Iowa Ice Cream Road Trip wouldn't be complete without a visit to the Ice Cream Capitol of the World - LeMars, Iowa! Our family recommends visiting the Blue Bunny Ice Cream Parlor, eating your favorite Blue Bunny ice cream dish up at their bar, and checking out all of the fun memorabilia. Also, be sure to come to town during their annual Ice Cream Days in June. Birdsall's has become of favorite for generations in North Iowa. 2017 actually marks their 80th year in business! We recommend their hot fudge sundae or if you come at the right time in the summer - their fresh peach sundae. Snookies is known for thick & rich shakes and malts, free doggy cones, and a line up of fans every year for opening day in the spring. I love how Snookies adds shortbread cookies and animal crackers as garnishes on their shakes and ice cream cups. Heyn's makes over 40 flavors of hard ice cream, including some fun flavor creations like Monster Mash and Kara's Creation. Splurge while you are there and get your ice cream in a Dream Cone! A favorite ice cream hot spot on the west side of Clear Lake in Ventura, the Viking Drive-Inn is always full of people traveling by car, boat and bike. Try their Black Raspberry soft serve ice cream and a heads up, the portions are big at the Viking! Stan's is a classic drive-in where you can expect speedy service from their car hops. Their ice cream is rich & smooth and their food is hot & fresh. Stan's is a great, nostalgic summer spot to visit on your next road trip. Ahoy Fountain is a fun 1950's soda fountain shop, whose atmosphere adds to your experience. Their ice cream is creamy and rich. It is a fun stop for the entire family that will bring you back in time. Our family enjoys not only going to the Princess for dinner, but for ice cream too! We love trying their special ice cream flavors. Our favorite that we have tried so far was their bacon ice cream. We had them put the ice cream in a shake, with a little caramel - amazing! Over the Top is known for their fresh, homemade ice cream. They work with AE Dairy located down the road to create their own, unique ice cream, which they mix in their shop. Working with AE allows them to mix and create their ice cream in less than 7 days from when the milk came from the cow! A fun feature of their hard ice cream is they add a little "topper" scoop of ice cream "over the top" of each ice cream cone. An Ice Cream Road Trip wouldn't be complete without getting your ice cream from a giant ice cream cone! Sky Kone has a primary location in Ackley, and they have another cone that travels around to different area festivals and events. Sky Kone serves Flavor-Burst soft serve ice cream, which gives just the right amount of added flavor to make your cone or cup unique and individually yours. Zombie Burger might be know for their crazy, delicious burgers, but their rich, creative ice cream shakes deserve just as much credit. We loved the chocolate cake shake and the peanut butter banana shake when we visited. Next time we want to try the s'more and crunch berry shakes. The ice cream was delicious! The Dariette might be hard to find, but it is worth the trip! Their delicious soft serve ice cream menu changes weekly, and you'll be sure to not go home hungry with their big servings. Goldie's not only has delicious, fun, ice cream treats, they also are known for their award-winning breaded pork tenderloin sandwich. This small town, small diner is a fun place to go with your family and friends, but be prepared for a packed house of both locals and travelers. So where to next? 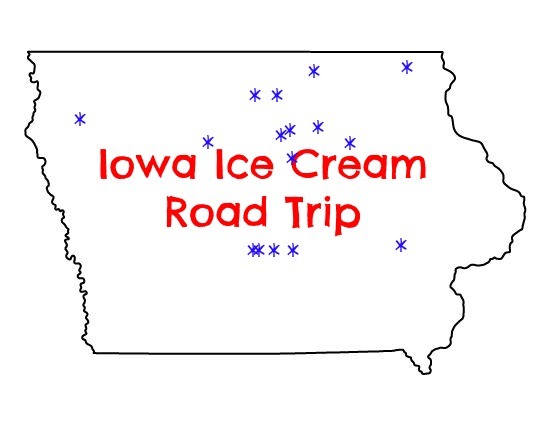 What Iowa Ice Cream Shops do you recommend our family visits next year on our June Dairy Month Iowa Ice Cream Road Trip? I can't believe next year will be the 5th year! Remember to Comment for a Cause! 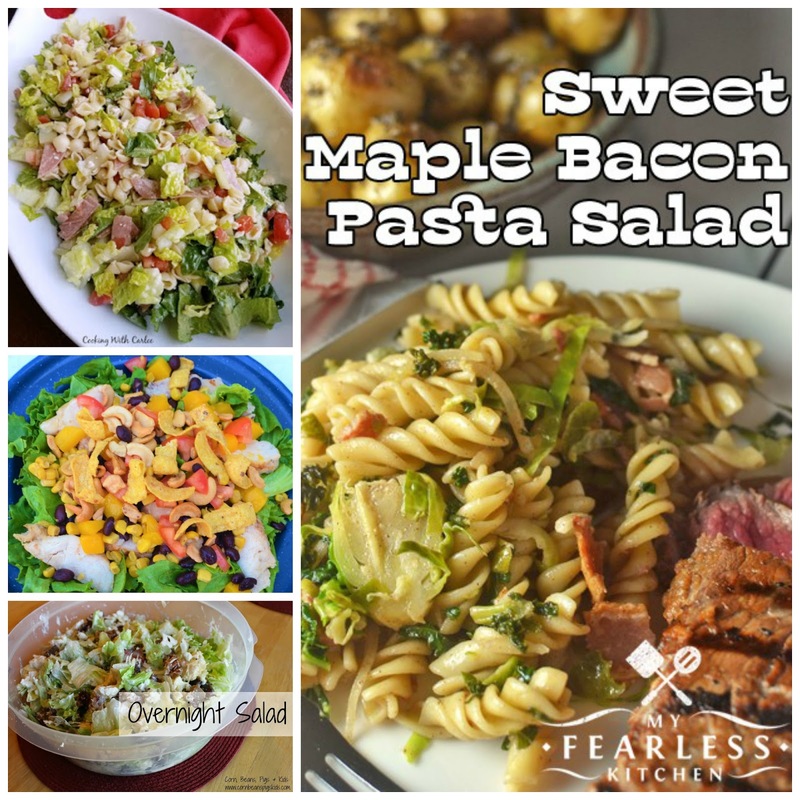 Fresh veggies and fruits, grilling, salads, ice cream. What do all of these thing have in common? They are all things that make dinner time in the summer special. I don't know about all of you, but I love the variety and flavors of fresh vegetables and fruits available during summer from my garden, local farmers market and grocery store. My family and I can't get enough of the juicy watermelon and sweet peaches right now as we wait for one of our favorite summer staples - corn on the cob! During the summer I also love to either grill or make salads for supper. Anything to keep the heat out of the house! And ice cream! We not only make it at home, but we travel around the state for it. It's the perfect, cool summertime treat. 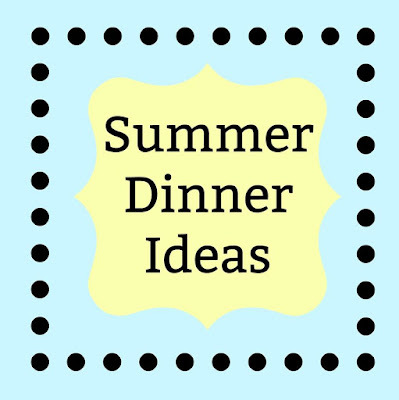 What do you look forward to when it comes to summer dinners? 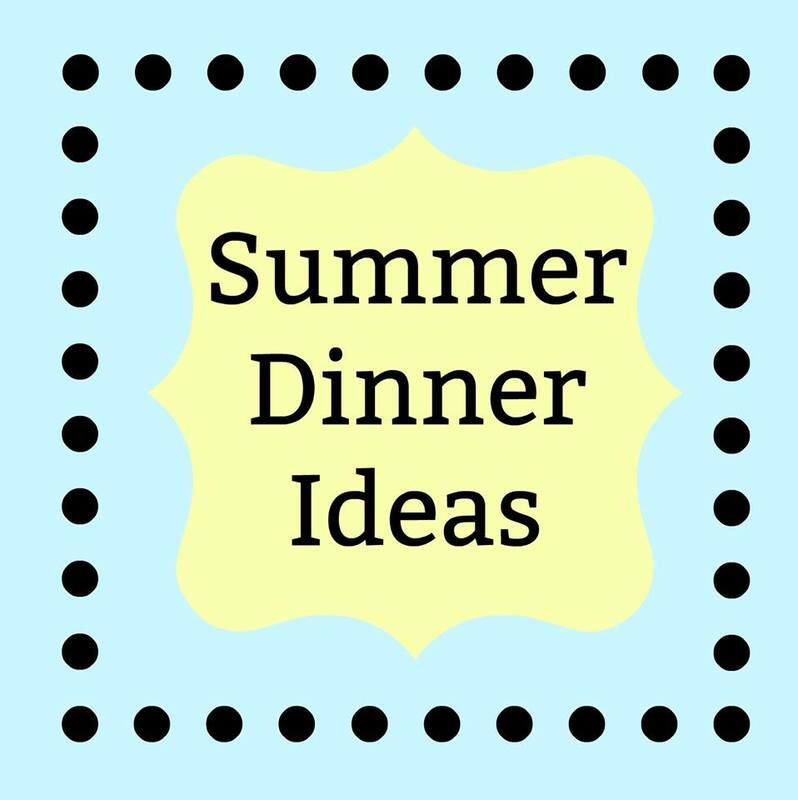 I want to hear your ideas in the comment section, and I want you link up your favorite Summer Dinner Ideas to our new Celebrate 365 Blog Party. 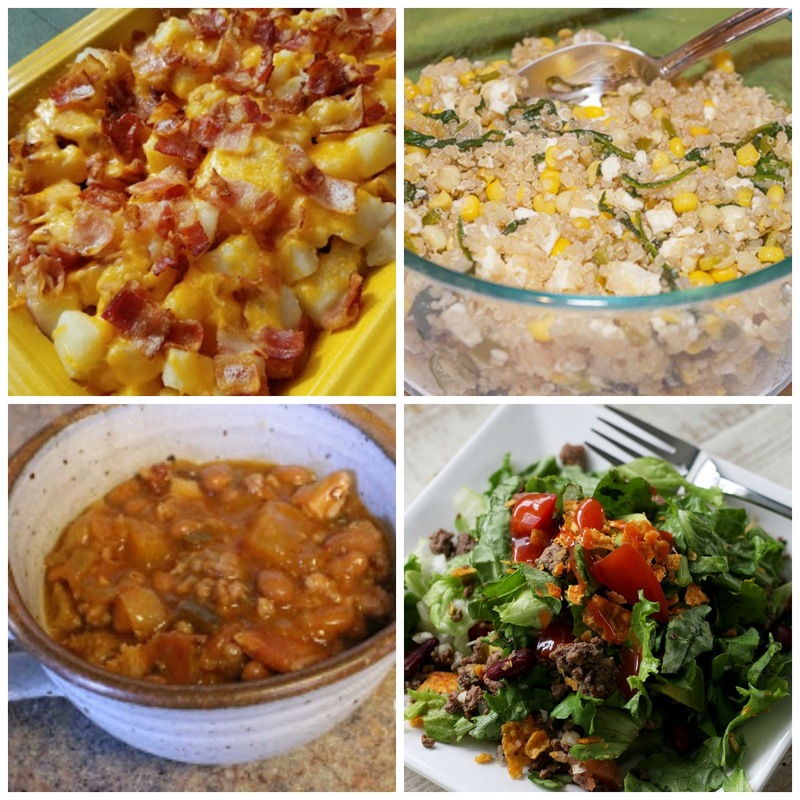 I've joined up with my other Celebrate 365 co-hosts (Carlee from Cooking with Carlee, Jan from Tip Garden, and Nicole from Tales of a Kansas Farm Mom) to throw our newest blog link-up! 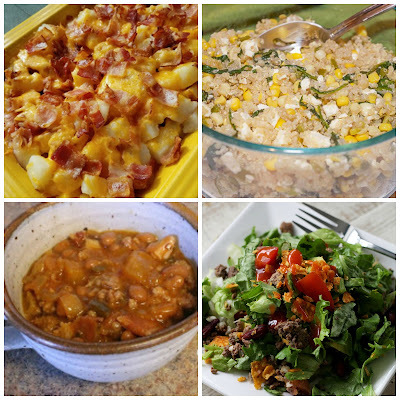 Feel free to share any of your favorite recipes that you love making in the summer. I can't wait to get some new ideas and get some meal time inspiration! 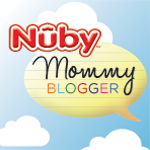 Also be sure to check out our Celebrate 365 Pinterest Board to pin any and all of our past blog party linked posts! What are some of you favorite summertime flavors? I want to hear from you! 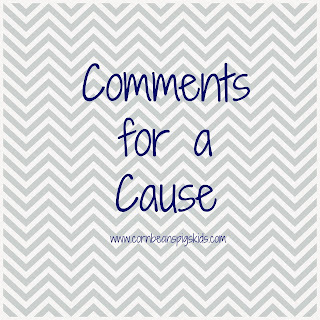 Be sure to Comment for a Cause! The 4th of July is a great time to celebrate our country's independence, spend time with family and friends, shoot off fireworks (especially after Iowa made it legal this year), and check our crops. It's been tradition for decades that farmers check their crops, especially corn, to see if it is "Knee High by the 4th of July." 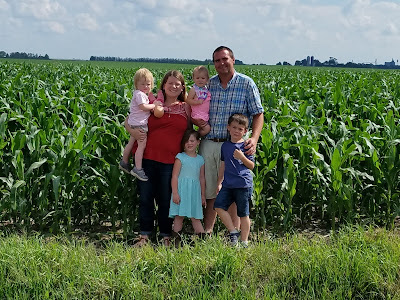 Now while knee high isn't the benchmark farmers are necessarily wanting now and the goal is more like chest high, it is still a fun tradition for our family to benchmark our corn (and family's) growth every year (see 2016, 2015, 2014, 2013 and 2012). We hope you all have had a great Independence Day! What are some of your favorite family traditions for the 4th of July? Remember to Comment for a Cause. Happy July 1st everyone! 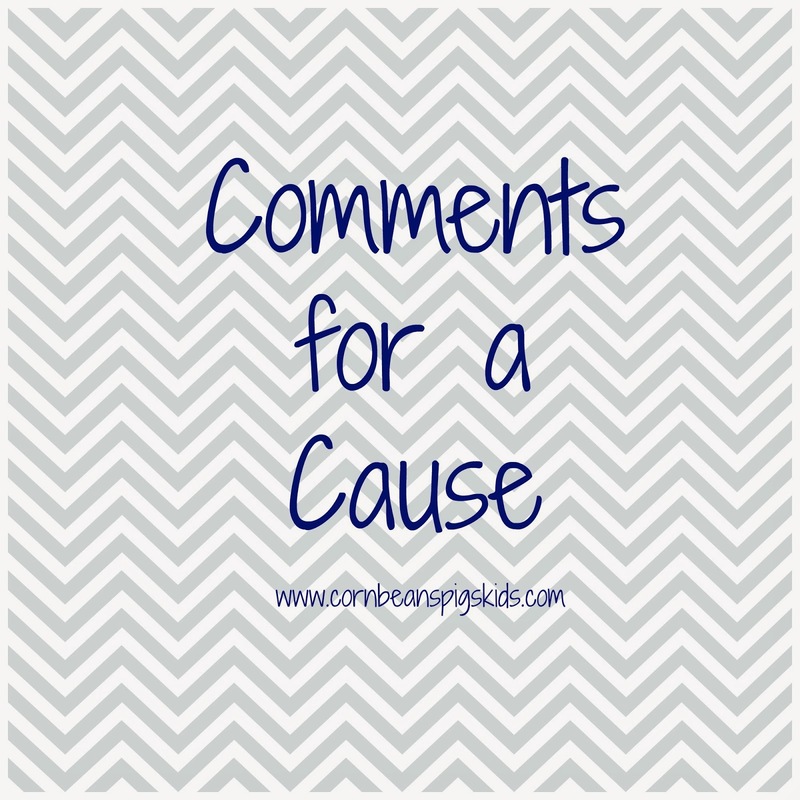 With the new month's arrival, it is time for me to introduce my new Comments for a Cause program. But before I share about my new cause, I need to wrap up May and June's donation to the Franklin County Freedom Rock. Over the last couple of months I had a total of 70 comments on my blog, equaling a $35 donation to help cover costs of painting my local county's Freedom Rock. I can't wait to see our rock get finished. We have had so much fun this summer visiting other county Freedom Rocks. 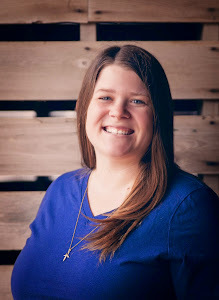 Throughout the month of July I'll be donating $0.50 for every comment made on my blog to Families Helping Families of Iowa School Supplies Campaign. It is hard to believe that July is already here and a third of the summer is already over! It always feels like we really only have a month left before we start thinking about getting ready to go back to school. And for some families, this can be an overwhelming time of the year. 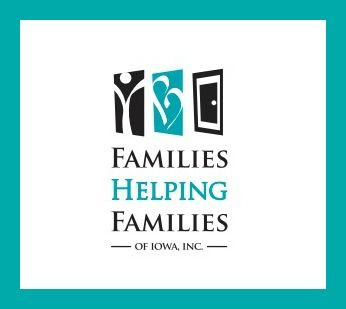 Families Helping Families of Iowa helps out foster kids during this time of year by having a School Supply Closet that coincides with their year-long Clothing Closet in Cedar Rapids, as well as hosting a Back to School Rally that provides around 300 backpacks filled with school supplies to foster care students. This month I'll be raising money to help with the Back to School Rally that is held at the beginning of August. The first day of school is an exciting time for any child and I want to do my part to make sure students are excited, rather than scared. For foster children the start of the school year may feel like they're starting over for more than reason. Having a new stock of school supplies can help them feel ready and prepared for the school year and can help relieve the financial stress during this time of year for the foster families. You can help too by donating financially or by dropping of school supplies. So help me help all of these foster students get ready for back to school by commenting on my blog all month long. Are there any back to school drives in your community? What is your favorite part of the first day of school? Remember to Comment for a Cause all month long!